In 2017 the ten GUKPT Main Event legs welcomed an impressive 3,029 entries, generating £2,596,000 in cash prizes. Grosvenor Casinos is looking forward to bringing yet another year of premier poker across the country. The 2018 GUKPT consists of nine legs featuring all the favourite stops from the past 11 years. 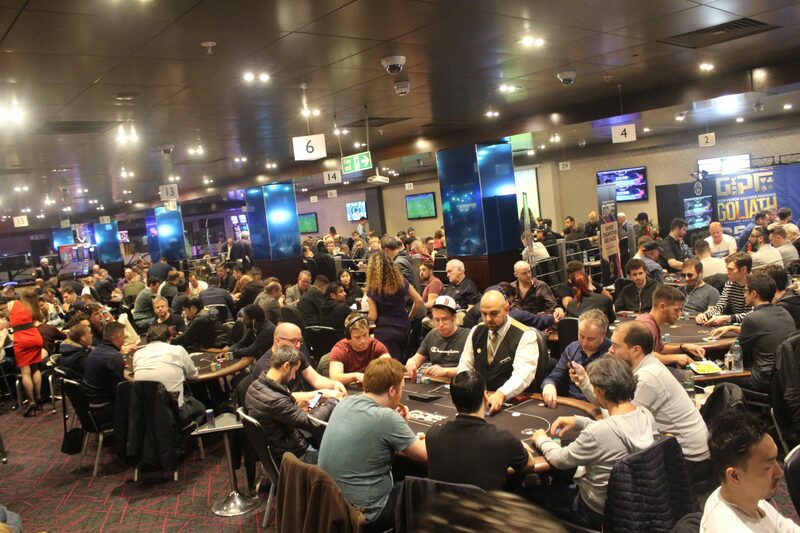 Each leg includes a range of tournament formats with buy-ins from £26 to £2,140, making the GUKPT both accessible and aspirational to all poker players. Running alongside the GUKPT is Grosvenor Casinos’ 25/25, the nation’s fastest growing poker tour. The £200+25 buy-in features a deep structure making it a favourite amongst pros and amateurs alike. New for 2018, Grosvenor Casinos is excited to reveal Day 1A of every 25/25 leg will be taking place on Grosvenorpoker.com, enabling customers to make Day 2 without walking out the front door. This is in addition to the further Day 1’s taking place at the host Grosvenor Casino. Full details of the 2018 25/25 can be found here. Similarly to last year, GrosvenorPoker.com will also be hosting various satellites to both the GUKPT and 25/25, giving all players the opportunity to win their seats for as little as 25p.